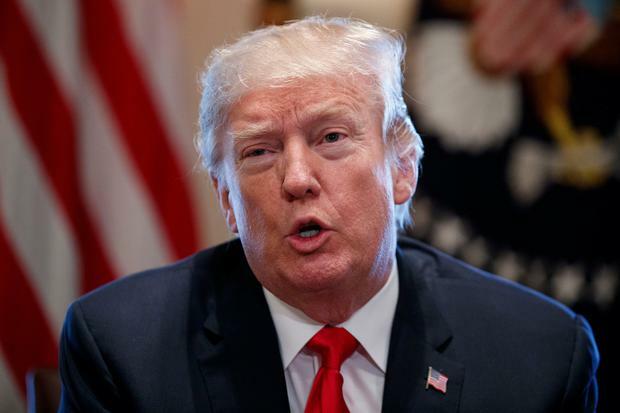 U.S. President Donald Trump tweeted on Friday, a day after announcing steep tariffs on imports of steel and aluminum, that "trade wars are good, and easy to win". "When a country (USA) is losing many billions of dollars on trade with virtually every country it does business with, trade wars are good, and easy to win," his tweet read. "Example, when we are down $100 billion with a certain country and they get cute, don’t trade anymore-we win big. It’s easy!" In response to Trump's Thursday announcement, global markets have dipped on fears of a trade war. Trump's proposed hike in steel tariffs will have a "significant impact" on the UK, the industry trade body warned. The US president has set out plans for steel imports to face a 25% tariff and aluminium 10%. "It would have a significant impact if it did go ahead," he told BBC Radio 4's Today. Commenting on the US proposals, Richard Warren, UK Steel head of policy, said: "Whilst we still await the precise detail of these measures, and there is still a lingering hope that these tariffs may not target the UK and EU, President Trump's comments do indicate the introduction of blanket measures to restrict the import of all steel imports regardless of their origin. "This would be a unilateral, and extremely blunt, approach to what is a complex global problem of overcapacity in the steel sector. "This requires a co-ordinated global approach. Whilst we all too well understand the frustrations of the US sector, measures such as these smack of short-termism, protectionism and would be rife with unintended consequences for global trade and for the users of steel in the US. "At a UK level, our sector exports some £360 million worth of high-value steel products into the US each year, almost 15% of our exports. These measures would seriously undermine our ability to compete in this market. "Equally there is significant apprehension about the indirect impacts of these measures in the form of steel trade diverted away from the US to other markets, such as the UK. "In short, these measures would cause serious damage to the prospects of many steel producers here. "Whilst performed under the guises of national security, whichever way you look at it the UK exports of steel into the US are clearly no threat to US security and pose no threat the health of the US steel sector. We are one of its oldest and closest allies. We trust the UK Government would push for and fully support a robust response from the EU. "If next week's official announcement does reveal the worst, there is a strong message here for the UK Government as well. In its imagined post-Brexit role as the vanguard for global free trade, it must remember that not everyone is on the same page and not everyone is playing by the same rules. "Whilst we have to resist any urge to mirror such protectionist moves, we must at the same time be clear-eyed and equip ourselves with tools to respond effectively and protect our interests when necessary." A Downing Street spokesman said: "We don't yet know if the UK will be included in any tariffs. We are working across Government to get to the bottom of this." The spokesman added: "We are engaging with the US on what this announcement means in practice. We are particularly concerned by any measures which would impact the UK steel and aluminium industries. "Over-capacity remains a significant global issue and we believe multi-lateral action is the only way to resolve it in all parties' interests. "The US Is our biggest trade partner. We will remain close partners and continue to work at the highest levels to make the case for UK industry to the US government."